Note: The following is the first of what will be a series of letters to the editor concerning Williams Partner's, MLP (WPZ, formed in 2007) planned expansion of the TRANSCO natural gas pipeline. Each addition to the series will focus on a specific aspect of the Transcontinental Gas Pipe Line Company, LLC's strategy to maximize natural gas transport from frack pad to compressor station to pipeline to export depot. My aim will be to show that--contrary to Williams' claims to concern for the environment, safety, human health, property rights, job opportunities, or community integrity--the Oklahoma company's singular objective is to maximize the profits of its shareholders and its affiliated industry partners at virtually any cost--so long as that cost can be externalized to the public. My message is simple and clear: this pipeline cannot be built, and if we allow it we will be to blame for the disaster that will follow. 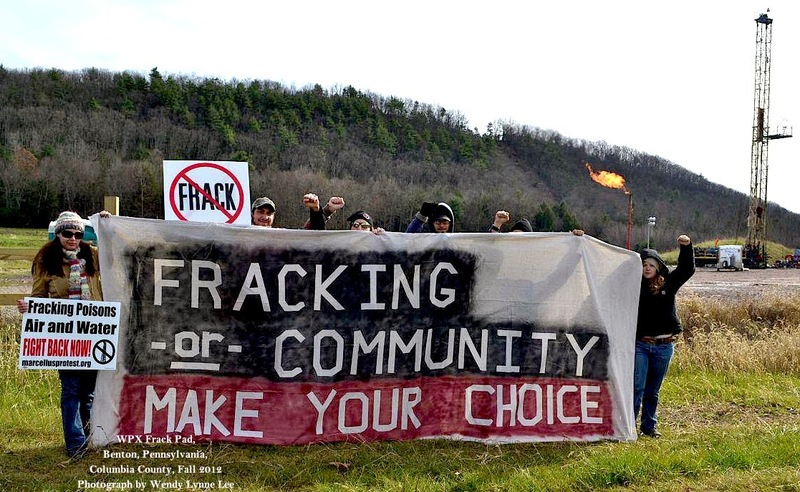 For there's one truth that's as unmistakable as it is undeniable: more pipeline, more frack pads, more compressors, more tractor-trailor, sand can, chem-truck, and waste hauler traffic, more explosions, more abuses of eminent domain, more forced integration, more property condemnations, more water and air pollution, more forest fragmentation, more invasive species, more community division, more cancer, more endocrine disruption, more lung disease, more rashes, more livestock illness, more suffering--more climate change. 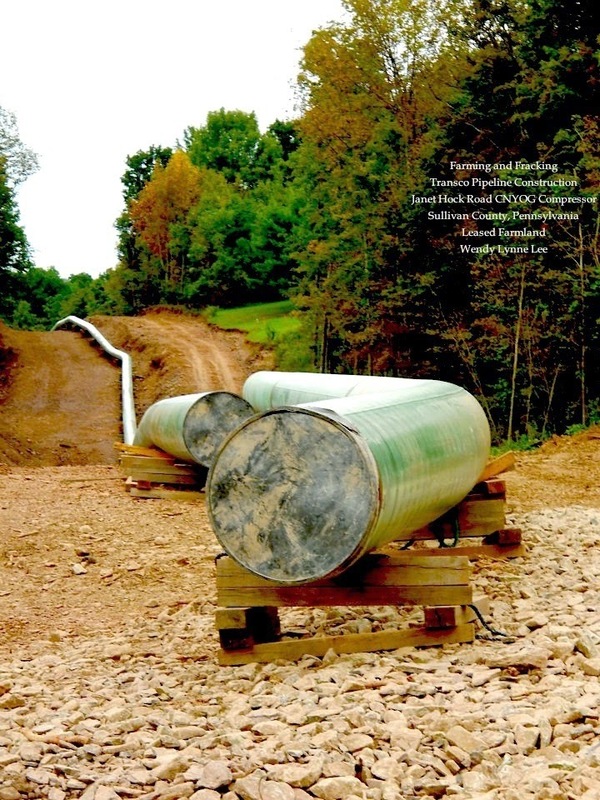 What this pipeline represents in the continuing liquidation of Pennsylvania's assets, and its systematic conversion into an industrialized natural gas extraction colony for multinational corporations--just like Williams. Letter 1: Williams' plans are to pipeline frack-gas from the Marcellus Shale to whatever market--foreign or domestic--that will pay the most for it. Because this market is likely to be foreign, we can expect to see a steep rise in the domestic price of natural gas along with an accelerated expansion of drilling and compressor operations to accommodate so significant an expansion of the TRANSCO. This will be accompanied by the ecological liquidation and community division that are the hallmarks of the fracking industry. As a result of significant interest expressed by shippers, the Project will be designed to provide 1,700,000 dekatherms per day (“dt/day”) of incremental firm transportation capacity along two project paths: 850,000 dt/day of firm transportation capacity from various points along Transco’s Leidy Line in north central Pennsylvania to Station 85 in Choctaw County, Alabama; and 850,000 dt/day of firm transportation capacity from a proposed interconnection in Susquehanna County, Pennsylvania (the “Zick Interconnection”) to as far south as Transco’s existing point of interconnection between Transco’s mainline and Dominion Transmission’s Pipeline located in Fairfax County, Virginia. There are no LNG [Liquified Natural Gas] terminal facilities related to or proposed as part of the Project. foreign buyers after its facilities are fully constructed late next year. In other words, Williams knows where the big money is--and it ain't the U.S. domestic markets. "Once complete, the Sabine Pass LNG terminal will be the first large-scale LNG export facility in operation, in the United States," and if you think for a minute that frack-gas from under your land isn't headed to the global markets, think again. Williams to Expand Transco Pipeline to Deliver Gas to Sabine Pass LNG>> LNG World News. Just imagine what will happen when Dominion's Cove Point facility goes on-line. Anyone who believes the patriotic hype about "Cheap! American! Abundant!" just isn't paying attention. Fact is, whether the Atlantic Sunrise expansion is intended for foreign or domestic markets is irrelevant since we can expect to pay whatever the Chinese are willing to pay. Why should Williams sell it to us for any less? Unrelated to Gulf Trace, Transco is pursuing several other large-volume projects to serve growing domestic demand for natural gas. By year-end 2017, Williams Partners expects to add approximately 3.4 million dekatherms of natural gas transportation capacity from northeast supplies to high-value growth markets with mainline expansions that include the Dalton Expansion Project, Atlantic Sunrise, Leidy Southeast, Virginia Southside and others. The new commitment is to ship from an interconnection in Susquehanna County, Pennsylvania, to Transco's existing Zone 5 Pleasant Valley point in northern North Carolina. That point is situated between Transco's mainline and Dominion Transmission's Cove Point Pipeline located in Fairfax County, Virginia, the notice said. The additional commitment will require Transco to extend the Central Penn Line northward from the Leidy Line to the Susquehanna County interconnection. (Transco looks to expand Atlantic Sunrise project - Natural Gas | Platts News Article & Story). pipeline is connected to Dominion Transmission’s interstate pipeline, as well as to other interstate pipelines that have access to the growing natural gas supplies in the region. Using Dominion Cove Point as an export facility would provide producers with new international markets" (Dominion Cove Point), specifically India and Japan: "Richmond, Va.-based Dominion Resources now wants to turn its entire Cove Point operation around, reversing the flow so it can liquefy the natural gas now pouring out of Pennsylvania wells and load it onto tankers bound for India and Japan" Fuel Fix » Stakes are high for LNG export plan. And there you have it, the first lie Williams' landmen will tell to bamboozle and effectively extort property owners all along the route of the Atlantic Sunrise. Appealing to your patriotism, your concern for national and energy security, your sense of duty as a citizen, they'll try to convince you that letting them on your land to add to their 13,900 miles of already extant pipeline is the right thing to do for your country. But nothing could be further from the truth. In fact, by selling to foreign buyers, Williams actually strengthens the fuel economies of countries whose interests may or may not align with our national security objectives. Is that really worth the despoiling of our forests, the contamination of our water, division in our communities, and the forfeiture of our property rights? The connector for the Atlantic Sunrise? TRANSCO Station 195. Here's the upshot: since at least 2006, the big energy companies--like Williams--have been working as hard as they can to extract the last drop of fossil fuel before the wells run dry--or the expense, already mammoth, is just too immense. What we can clearly show in 2014 is that this industry spends millions to avoid litigation for contaminating wells, despoiling forests, and polluting air--and they're more than happy to buy out your property once they've destroyed it and made impossible for you to sell, if you'll just sign a nondisclosure and gets your kids to agree to it too (Pennsylvania Judge Orders Records Opened in Fracking Case - Bloomberg). Williams is no exception. Just ask the folks of Appomatox, Virginia, or Marengo County, Alabama (Owner of PA Natural Gas Facility that Exploded Has Lengthy Record of Pipeline Safety Violations - Natural Gas Watch.org). But more of this in a coming letter.